Even if they had made a blockbuster trade to move up in the WNBA draft, the Storm would have no chance to select Oregon standout Sabrina Ionescu, a guard who surprised many with her decision to return to school for her senior season. Now that she’s out of the draft, the league will miss out on the player who was expected by many to be the No. 1 overall pick. First and foremost, it’s a big win for the Ducks, the Pac-12 and women’s college basketball to retain the NCAA’s all-time leader in triple-doubles. 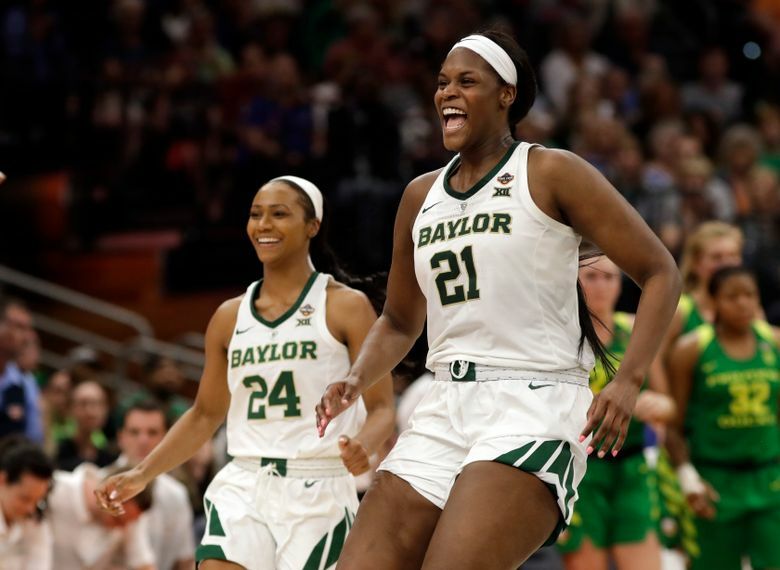 But losing Ionescu – if only for a year – is a crushing blow for the WNBA and weakens a draft class devoid of can’t-miss-prospects such as A’ja Wilson and Breanna Stewart, the top picks in 2018 and ’16, respectively, who played at an All-Star level as rookies. The draft is Wednesday night in New York. It was never a foregone conclusion the Las Vegas Aces were going to take Ionescu with the No. 1 overall pick, considering coach/general manager Bill Laimbeer has been shopping the pick for weeks. The absence of Ionescu pushes Louisville guard Asia Durr, Notre Dame guard Jackie Young and Mississippi State center Teaira McCowan into the mix for the No. 1 pick in Wednesday’s draft. “There are multiple choices at the top that can be had, depending on who’s picking,” Laimbeer said. “Durr is a logical person at the top of the draft. Some teams may want to move up and take her or the big kid from Mississippi State (McCowan). “There’s a lot of stuff or a lot of talk that’s going to happen this week about who, what, where, how.” Adding to the intrigue is the possibility Dallas, which has the No. 5 pick, could move All-Star center Liz Cambage, who requested a trade in January. Last year, Cambage averaged 23 points, 9.7 rebounds and 1.6 blocks per game. She finished second to the Storm’s Stewart in the MVP race. Furthermore, there’s speculation Minnesota could trade five-time WNBA All-Star Maya Moore, who is taking the season off for personal reasons. “Lots of rumors,” Laimbeer said. “We got thrown in the rumor mix about Liz. The media likes to pump up big stories. There are a million rumors that are out there, from tampering to all kinds of stuff. So how does all of this affect the Storm, which has the last pick in each of the three rounds (Nos. 12, 24 and 36)? We take a look at a few draft candidates for Seattle. The Storm had a better chance of selecting her at No. 12 a month ago, but she’s shot up several mock drafts in recent weeks. Anigwe finished the season averaging 22.5 points, which ranked ninth in the country. She led the nation in rebounding (16.2 per game). Anigwe, who won the Naismith defensive player of the year award Sunday, finished as Cal’s career scoring and rebounding leader. She had her streak of 33 consecutive double-doubles end in the second round of the NCAA tournament. Closed out her collegiate career Sunday with an NCAA tournament title while posting 20 points, 13 rebounds and two blocks in the championship game. Brown, who finishes her career as a two-time All-American, averaged 15.6 points and 8.1 rebounds this season, shooting 61.3 percent from the floor. Questions about athleticism and mobility could scare some teams away. Her mother, Dee, played basketball at Louisiana Tech and her father, P.J., culminated a 15-year NBA career with a championship with the Boston Celtics in 2008. Named the Naismith Women’s Player of the Year in 2019, Gustafson posted huge numbers this season: an NCAA-best 27.9 points, 13.5 rebounds and 1.7 blocks per game while shooting 70.1 percent from the field. She’s also the only non-guard to score 1,000-plus points in a season in NCAA women’s basketball history. She’s undersized to play in the post in the WNBA and she’s not a three-point threat, which could lower her draft stock. Samuelson joins Moore, Stewart and Diana Taurasi as the only players in Connecticut history to tally at least 2,000 points, 600 rebounds and 400 assists in a collegiate career. Taurasi (2009), Moore (2014) and Stewart (2018) won WNBA MVP awards, but it’s premature to suggest Samuelson can do the same. With 382 career makes from downtown, Samuelson is the Huskies’ second-best three-point shooter in school history. Her shooting makes her a natural fit on a Storm team that led the league with 24 three-point attempts per game. Played her first two seasons of college ball at Nebraska before transferring to Notre Dame, where she helped the Fighting Irish to a pair of trips to the national-title game. She averaged 15.6 points and 8.1 rebounds during Notre Dame’s NCAA championship run last season. This season, she averaged 16.8 points and 10.3 rebounds while shooting 59.9 percent from the floor. However, she’s not a three-point threat (0 for 2 this season), which doesn’t make her a natural fit for the Storm. Consider her the outside-the-box choice. The Storm don’t necessarily need immediate help in the post and the 19-year-old Chinese star could potentially help the team in a few years after backup forward Crystal Langhorne’s deal expires in 2020. She had 20 points against the U.S. in the FIBA World Cup in September and is the tallest player in the draft.